Like many weeks on the ship this week alternated between crazy busy and quiet times. There was time for a run or two and to watch an episode of Downton Abbey. There were social times with crew, in the "Party Palace" and at a nearby area of nature. 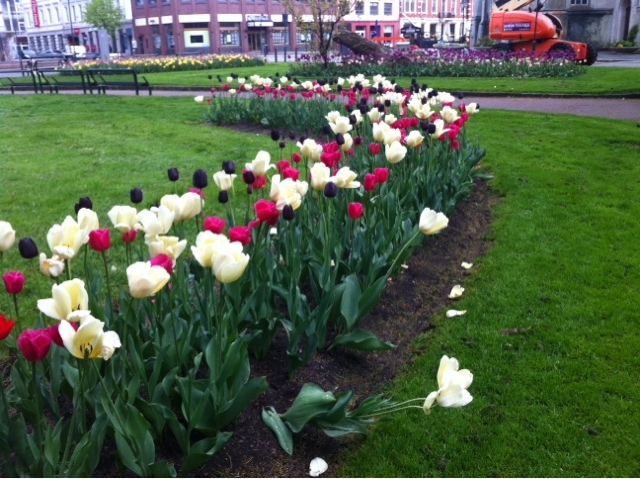 In the town it was interesting to see the crocuses of March have been replaced by tulips. 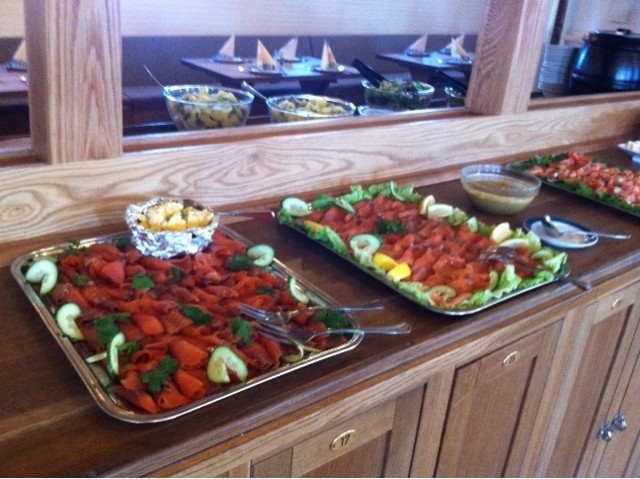 For busy times we had more daysails inluding one that was a buffet dinner for 50 or so. We also had a daysail with the students that sailed with us to Frederikshavn, unfortunately the weather was rough again and the funnels and scuppers were busy places. But I think overall they had fun. 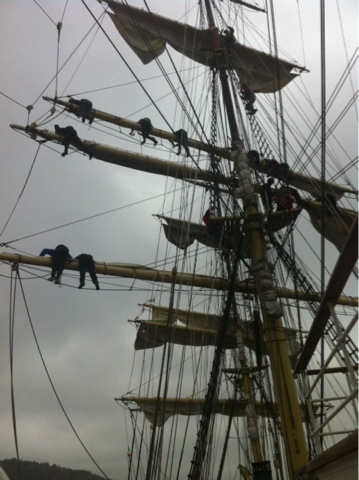 Those who were able to work went aloft and we tacked the ship with all available hands. 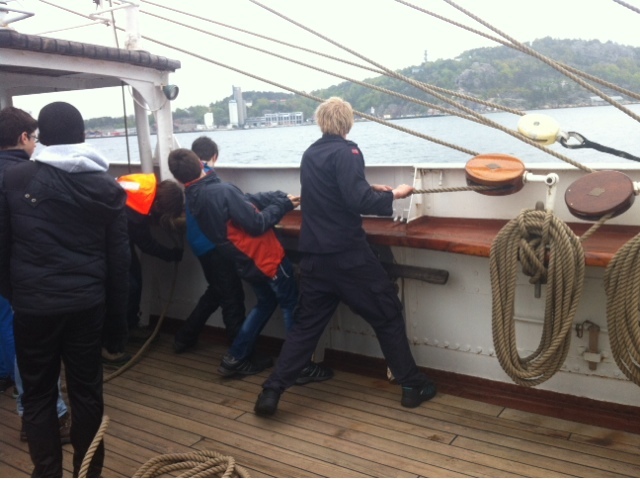 We did some more drills and motor sailed the ship to Arendal. It was a beautiful day for sailing and the timing was right for me to go aloft to loose and later furl some sails. This week brings more daysails in Arendal, Grimstad and Lillesand.